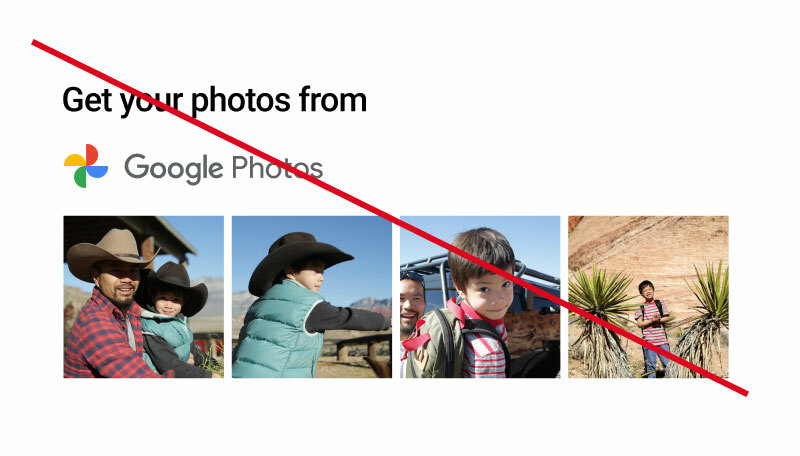 When you're designing apps that invoke Google Photos APIs, follow the below UX guidelines. Before requesting access to a user’s Google Photos library, your app should clarify why each OAuth scope is needed. Request only the scopes needed for a feature to work and nothing extra. After the user grants access, ensure that they're always aware that their Google Account is being used and is connected to your app. When fetching information from their Google Photos Library, let them know that's what is happening. Give them the ability to disconnect from their Google Account in the app. In your app, always provide a link to albums users are contributing to, and make that link persistently accessible. The user should know what content and information is being shared. The user should know who the audience is. You can use the Google Photos branding elements in your app without pre-approval, provided you follow these basic guidelines. 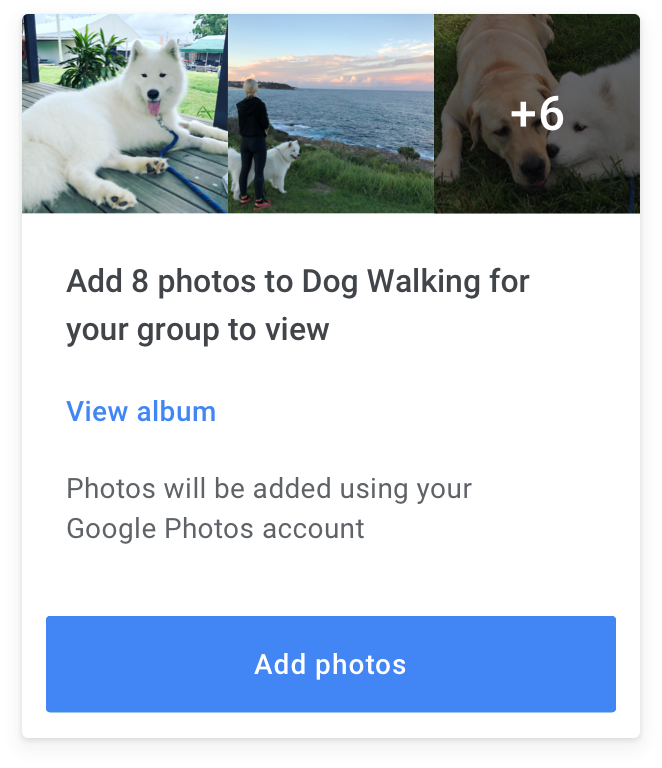 Acceptable treatments for in-app use include the use of a Google Photos-branded button or mentions of “Google Photos” in labels, headers, or other plain-text formats. Use of Google brands in ways not expressly covered by these guidelines isn't allowed without prior written consent from Google. For more information, see the Google Brand Permissions. 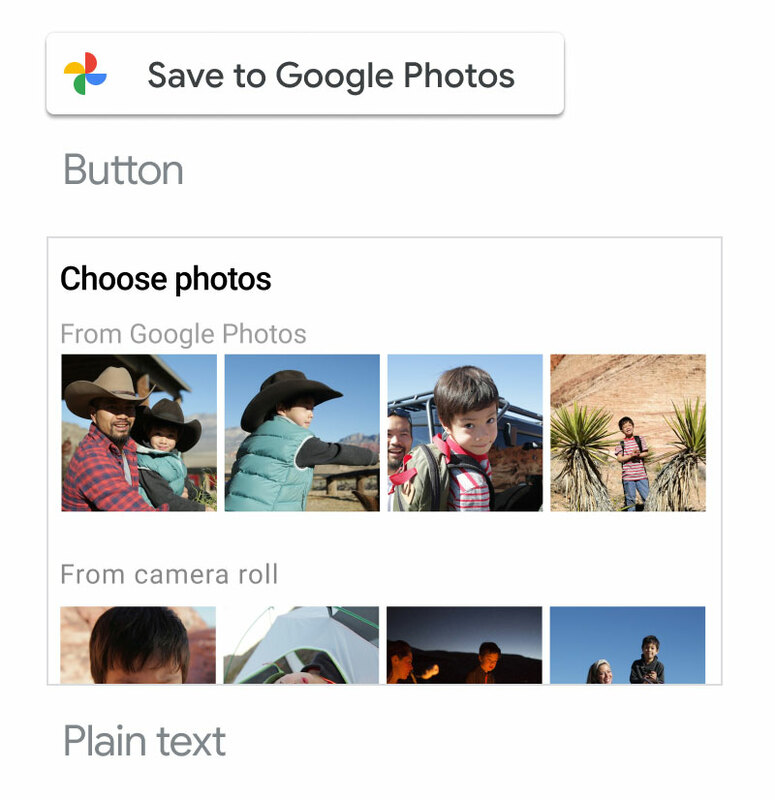 Use a Google Photos branded button or the Google Photos name in plain text for UI elements. Use the Google Photos full logo or wordmark for UI elements. You can use a Google Photos branded button when activating experiences that use your integration with Google Photos APIs. Don't use a Google Photos branded button when your app is using multiple Google services and/or is using Google for general sign in purposes. In these cases, use the Sign in with Google button, and reference the Sign-In Branding Guidelines. Use Google Photos branded buttons when activating Google Photos-specific experiences or content. Use Google Photos-specific language and assets in the UI if you're going to ask for access to multiple Google product APIs or if you're using Google for general sign-in purposes. Use the Sign in with Google button instead. Standard appearance For a button that requires user action, you must use the full-color Google Photos icon on a white (#FFFFFF) background paired with a dark gray (#3C4043) text label. Alternatively, you can use a standard text button with no iconography. When using a button with the Google Photos icon, use a white background and the full-color Google Photos icon that adheres to the minimum margins and spacing provided. The minimum size for the Google Photos icon is 24x24 dp. Size You can scale the button as needed for different devices and screen sizes, but you must preserve the aspect ratio so that the Google Photos icon isn’t stretched. Equal prominence The Google Photos button must be displayed at least as prominently as other third-party options. Words like “Add” or “Save” are most appropriate for one-time access to a user’s Google Photos library. Words like “Connect” are appropriate when there will be a sustained link to Google Photos. Using text alone for an action button, without the Google Photos logo, is acceptable. Don't put the Google Photos icon on top of a colored background. Don't change the color of the Google Photos icon or use a one-color version of the icon. Don't use the Google Photos icon by itself. Don't use the full Google Photos logo in UI assets like buttons. For all other actions or references to Google Photos in your app, use text. Text should be used for non-button actions such as hyperlinks. Text should also be used for non-actionable elements like headers, titles, and other labels. Caution: Always use the full "Google Photos" product name. Never use "GPhotos" or "Photos"
Use text for referencing Google Photos in headers, labels, and other non-branded-button elements. Don't add visual treatments to mentions of Google Photos in plain text or non-button elements.